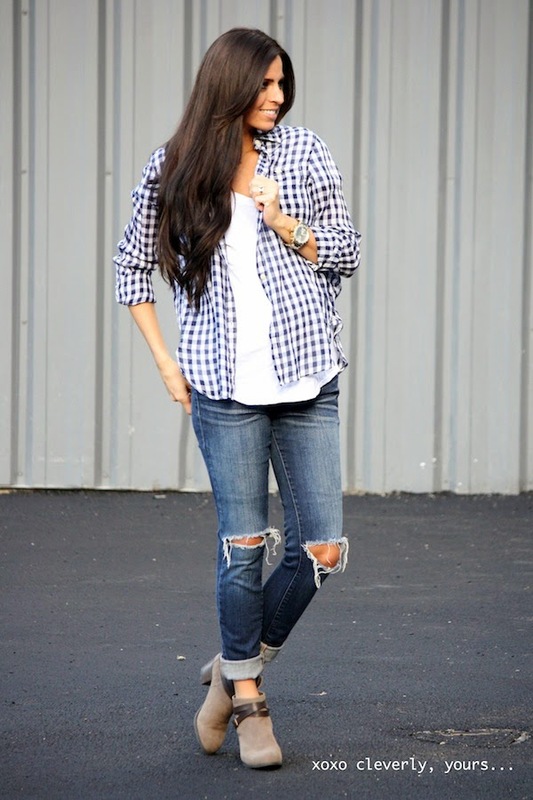 transitioning into fall is always fun, but can be tricky! the mornings here have been around 60 degrees lately but by mid-day we're back into the mid 80's! not that i'm introducing you to any new ideas (ha! ), but layering is obviously the best part about this crazy fall weather and this is definitely one of my favorite "transitional" looks! Great look on you! I love layering with our weird Utah weather! I love this look! 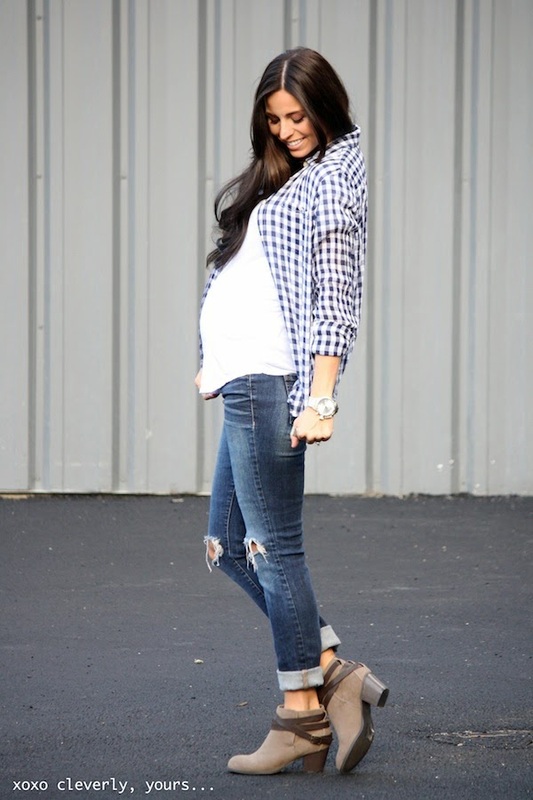 You are stunning and I hope the rest of your pregnancy goes smooth for you! 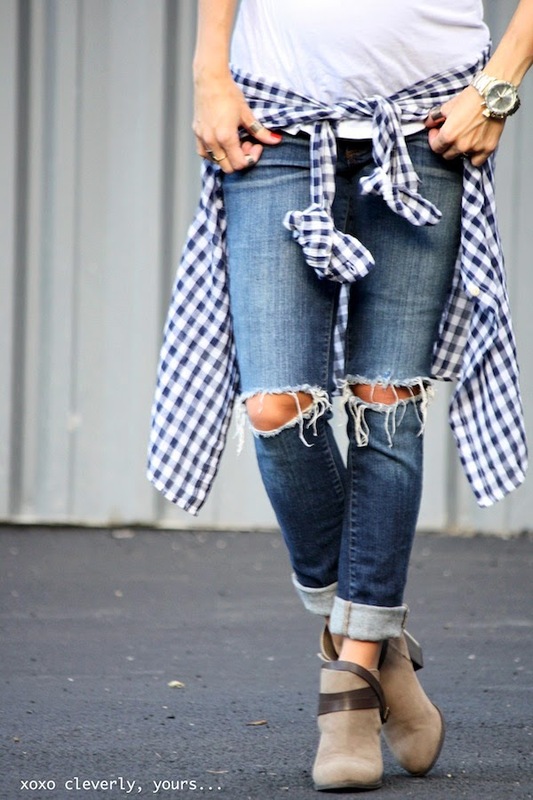 Those shoes ROCK - I love the way you kept your flannel unbuttoned - and who would have thought tying around the waist was chic again? You looks great! What a great look! Girl you look so fresh and glowing!